Get ready Perth! 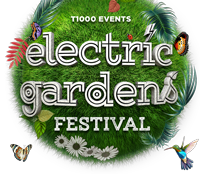 This Summer Electric Gardens returns in a brand new venue for our annual celebrations. Join us in paradise at the stunning Belvoir Parklands this January with an all-star line-up showcasing the very best of electronic and house music. This is a must-see festival for your musical calendar, save the date! Sigma will now be performing a very special closing set, with full production, singers and MC. Establishing themselves as one of Britain’s biggest electronic music exports in recent years, with huge hits like ‘Nobody To Love’ and ‘Changing’ (featuring Paloma Faith), and fresh from playing SW4, Creamfields and many other Summer festivals. 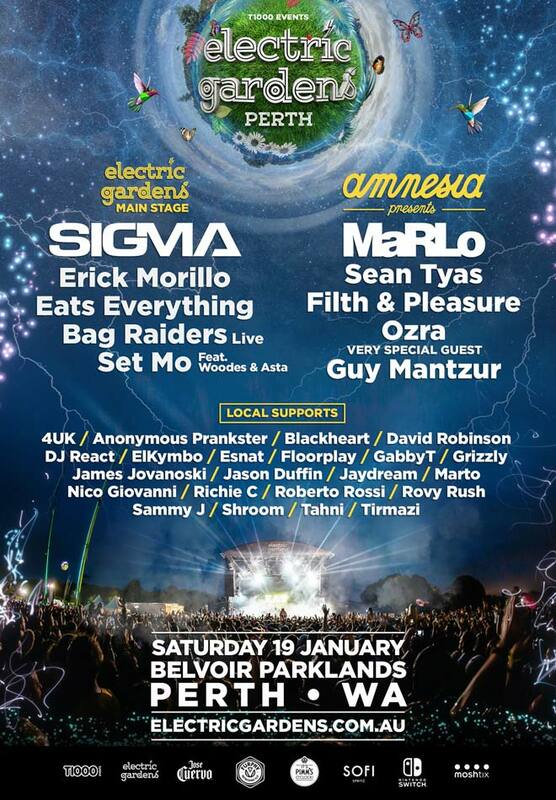 We welcome back 2016 Electric Gardens party-starter and Colombian-American electro-house producer Erick Morillo for another epic set where he is sure to mix all genres of musical madness, raising set standards to a whole other level. The fluidity on the decks is fashioned from being a platinum-selling artist, Subliminal Records presenter, and 20 years orchestrating the best global parties from New York to Miami and Ibiza. You’ll be on your feet when he drops ‘I Like To Move It, ‘Believe’, and ‘I Feel Love’ amongst surprising classical dance combinations. 1ST RELEASE – SOLD OUT! 2ND RELEASE – SOLD OUT! LIMITED 3RD RELEASE TICKETS ON SALE NOW THROUGH MOSHTIX. Buy 3 get 1 FREE! Buy four tickets for the same price as three full price tickets. Get the squad together and save! BUY HERE. Return buses from various locations are available to take the stress out of getting to and from Belvoir Parklands. Buy your bus tickets by clicking here. RSVP our official Facebook Event for regular updates. We are strictly 18+ event, ID must be shown on entry. There are no pass-outs or re-admissions to the event. Buying or selling tickets on third party websites (such as eBay and Gumtree) is NOT permitted. If a ticket is bought, sold or offered for re-sale on a third party website the Event Promoter may cancel the ticket without refund and you will be refused entry to the event. Respect the beautiful surrounds of Belvoir Parklands.